Location will be provided upon reservation. Rabbi Yitzchok Mendel Wagner, is the first post Holocaust German native to be ordained as a rabbi. He is also the first rabbi in his hometown of Krefeld in more than 70 years. He currently serves as the Rabbi and spiritual leader of Krefeld, Germany where he was born and raised. 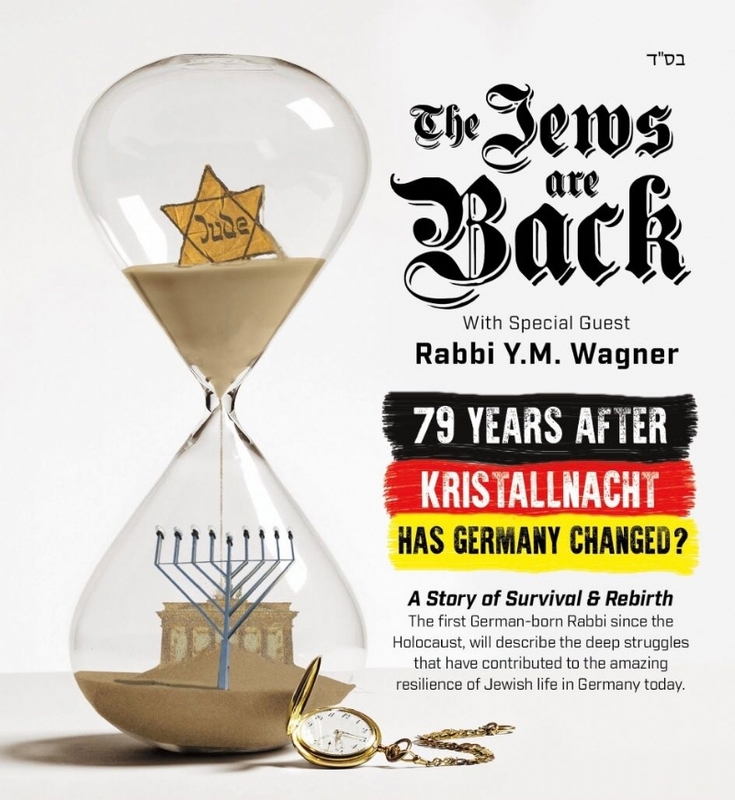 Rabbi Wagner brings a unique perspective along with his own personal experience as he tells the story of German Jewry’s tragic demise and unexpected re-birth, rising from the ashes the Shoah to its current state. He will address the struggles against anti-Semitism and the many new challenges now facing Germany’s Jewish community.